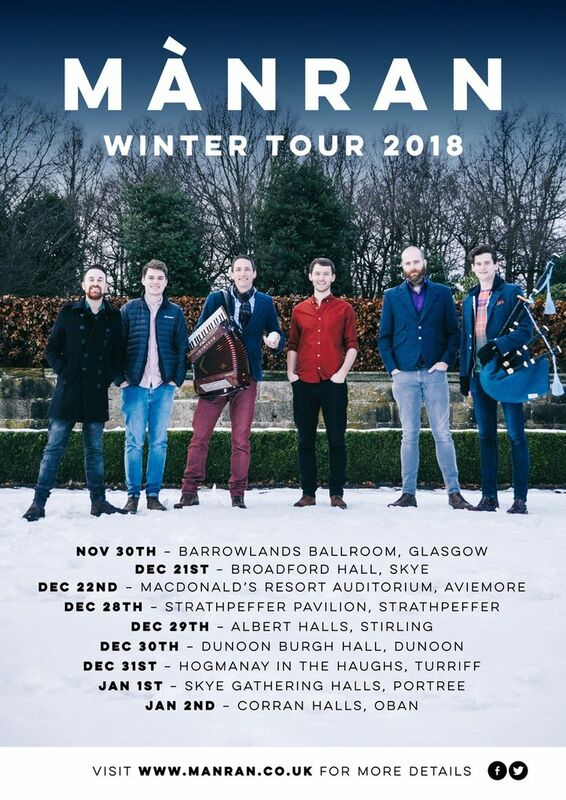 Ewen Henderson (Vocals/Fiddle/Pipes), Gary Innes (Accordion), Ryan Murphy (Uilleann Pipes/Flute), Ross Saunders (Bass), Craig Irving (Guitar/Vocals), Mark Scobbie (Drums). Looking forward to our Winter Tour! Getting all ready to party in Broadford, Aviemore, Strathpeffer, Stirling, Dunoon, Turriff, Portree and Oban. Very good all round performances from blazzin fiddles and manran.